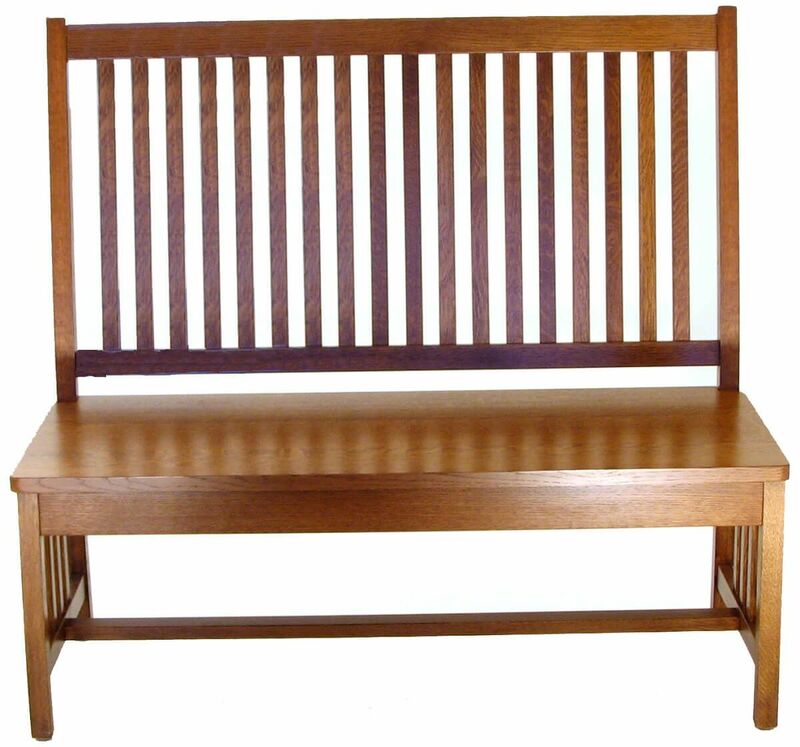 Structured and sturdy, our Amish-made Carbondale Mission Bench is perfect for the hallway, sitting room, office, or anywhere you need stylish seating. Classic Mission in style, the Carbondale boasts bold vertical slats of the seat back, which are continued on the side panels. This charming piece features a durable hand-rubbed finish, a generous 48" seat, and solid hardwood construction for you and you family to enjoy now, and years to come. Your Amish Carbondale Mission Bench is available in a variety of woods, stains, and upholstery options. Let our Amish furniture builders craft the bench you design. To achieve the look as shown, consider Quartersawn White Oak with a Spiced Apple wood finish.